The simplicity of a paper form in a powerful app. Customize your inspection forms and get instant updates so you can stay on top of it all. Our app-based inspection forms couldn’t be easier to use. Inspectors can fill them out with a few taps on almost any phone or tablet. They can also include a note or snap a photo to highlight an issue, too. When inspections are easy to do, they actually get done. 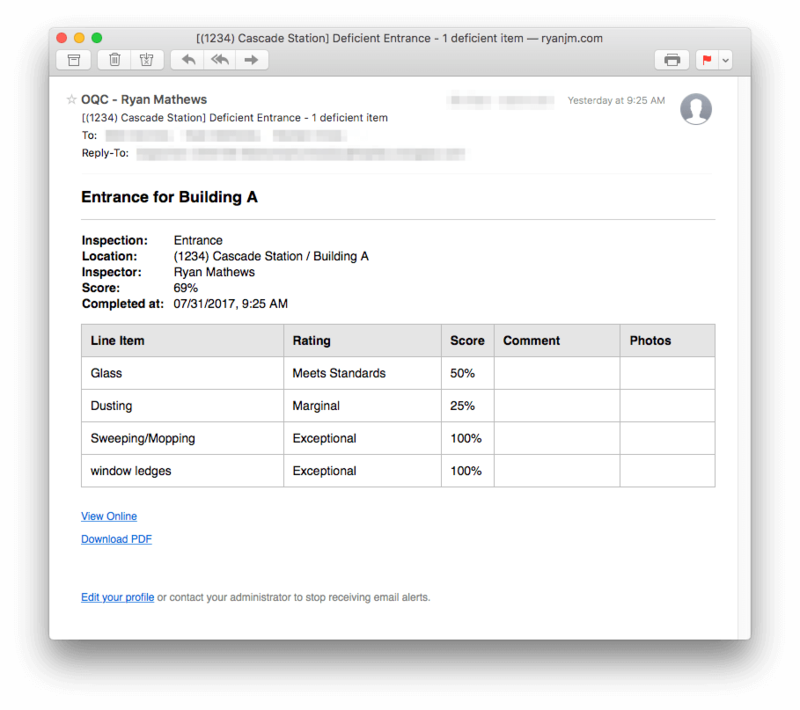 Our inspection forms give you all the tools you need to capture the right data. Snap a photo of exactly what needs to be fixed so that your team can find and resolve the problem ASAP (and no one will be able to argue that they really did wipe down that window). Add a spot for a signature so inspectors can sign off on each inspection. 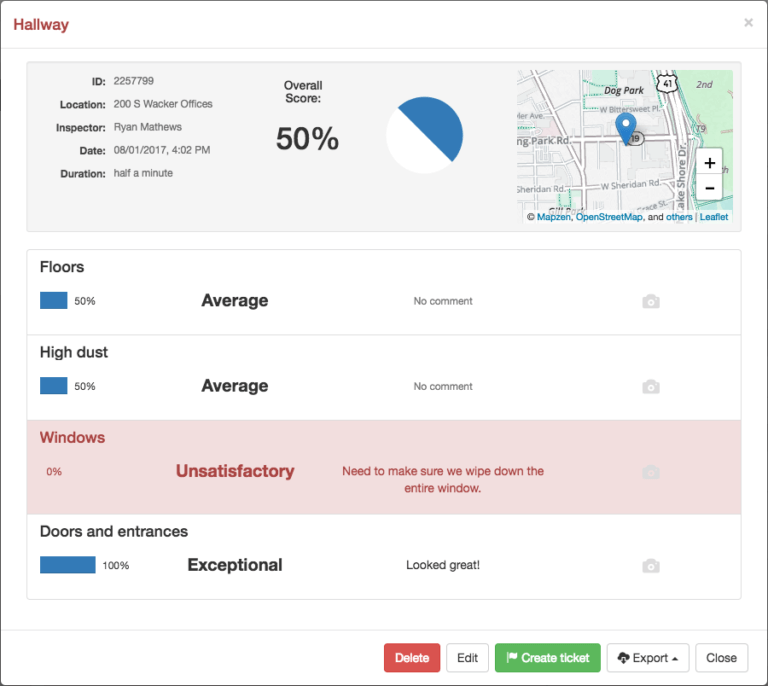 Our app automatically adds a timestamp and uses GPS to determine where inspections are performed. You’ll always know exactly when and where inspections were done. 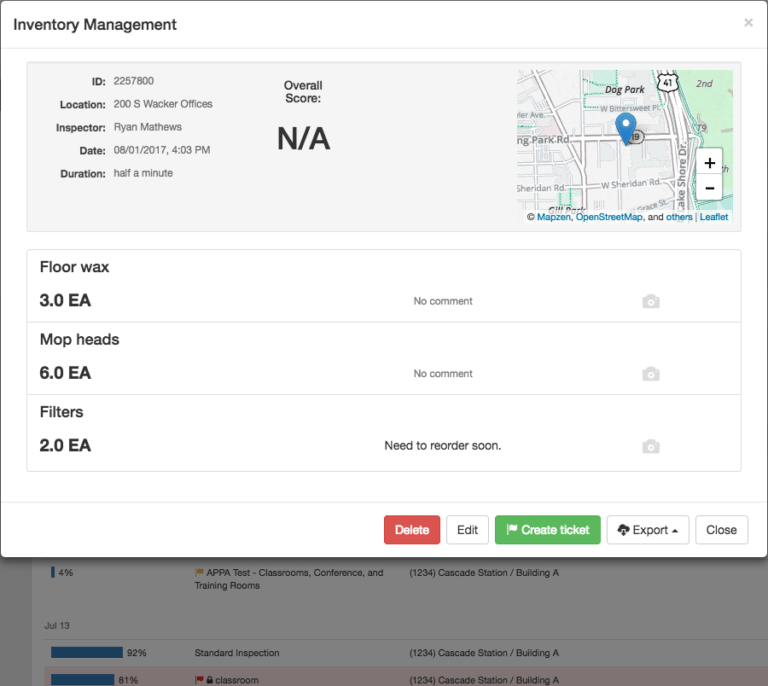 Customize your inspection forms to fit the needs of all your locations and clients. Our tools let you create the forms that work for you. Choose the rating system that works best for you, whether it’s a simple pass/fail, a 1–5 rating scale, an industry standard system like APPA, or whatever fits your needs. Pick what scores you’d like flagged as deficient so you’ll always know when there are quality problems. Customize your forms with signatures, notes, fields to track inventory or ATP, and more. Quality control only works when your whole team is working together. 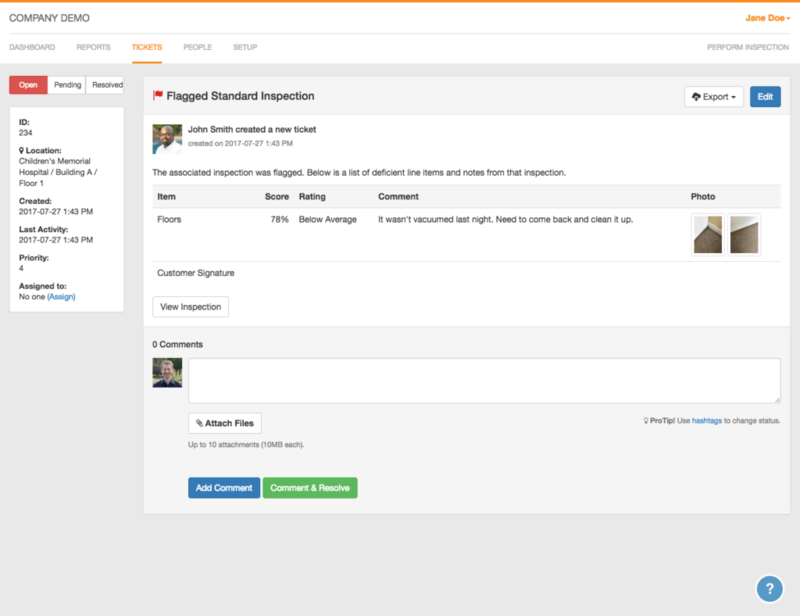 OrangeQC inspections are connected to the rest of our system to keep everyone on the same page. Our ticket system organizes and tracks issues. If an inspector finds a problem, you can have our system automatically email the person in charge of making it right. Your team can always check on the status of an issue to make sure it’s fixed—fast. Customized email alerts are sent in real time, so you get the information you’ve requested automatically, as soon as it’s available. And if there’s bad reception in a building, that’s fine. Inspectors can work offline and everything will upload when they reconnect.